13 1/2″ High x 15 3/4″ Diameter at the base, step stool glides easily on retractable, heavy-duty rubber casters. Anti-skid bottom ring firmly grips floor when stool is in use. Rugged ABS construction supports up to 350 lbs. Steps feature slip-resistant rubber tread. 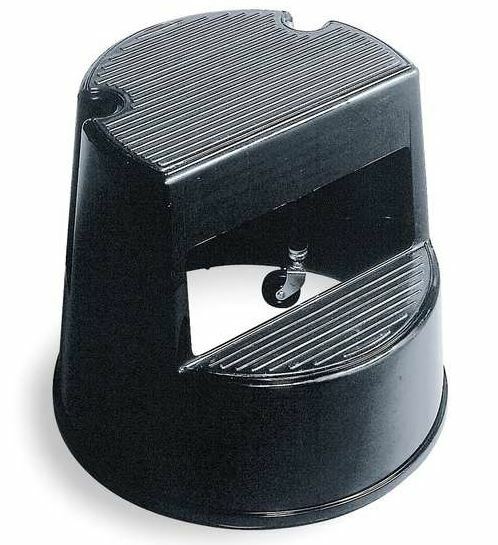 Kick it into position, then step up – the casters retract and the anti-skid bottom ring holds you and the stool in place. 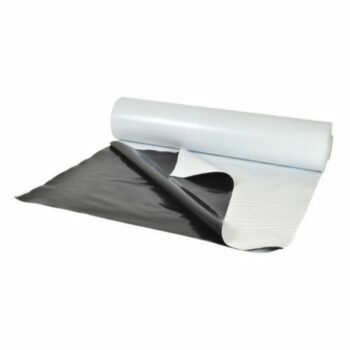 The long lasting material will not rust, dent, or peel. Reach your tall crops or use it as a seat.